Developped and exploited by AOTech engineer team, the simulator is both a tool for drivers, exploitation teams, automotive manufacturers and suppliers. 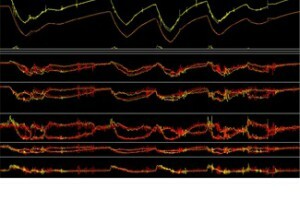 The platform dynamics is undoubtly a strong point of the simulation. 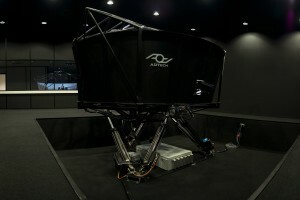 Designing and building its own suspended structure allowed AOTech to come with technical solutions that best immersed driver into virtual environment and enhance the simulator performances. 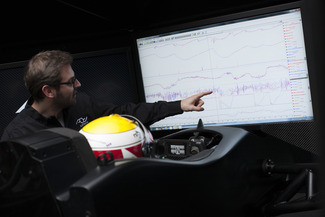 All needed information for a high level driving is felt by the drivers. Real single seater tub associated with tubular chassis compose a very light platform achieving high level dynamic performances. 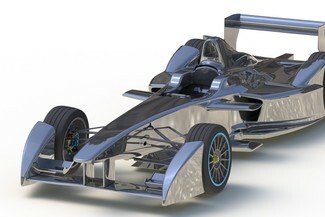 Car models’ quality is ensured by AOTech’s R&D engineers who desing and continiously develop them. Every model is validated by experienced drivers and teams. 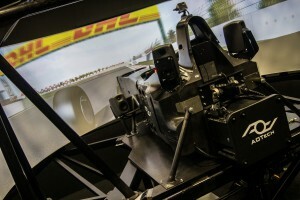 Track models are specifically created for the simulator. 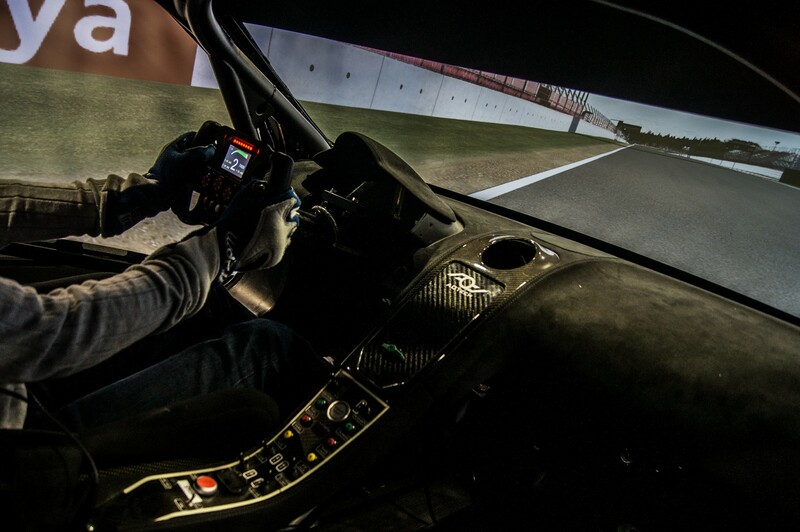 AOTech totally masters its dynamic platform’s motions and is able to adapt them according to drivers’ experience. 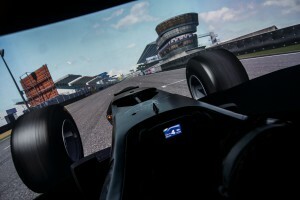 Many evolutions are regularly carried over to the system: visual effects, platform motion, vehicle and track modeling as well as new exercises are for instance continuously optimized. 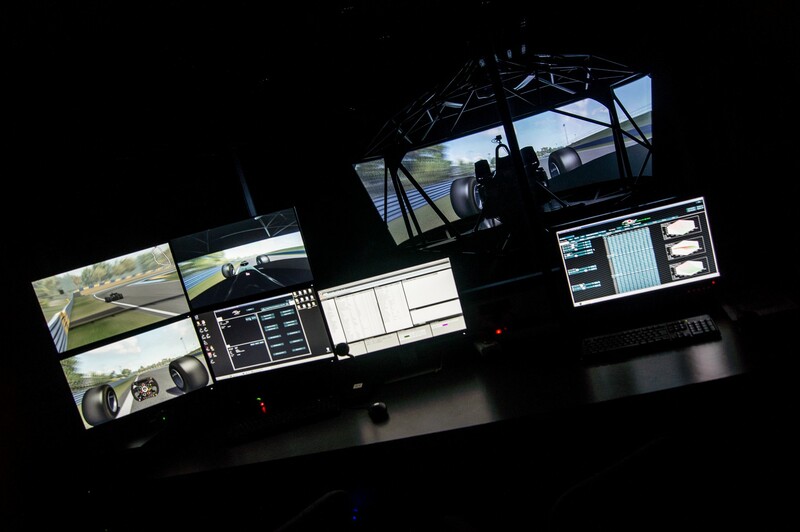 Every AOTech engineer operating the simulator is a race engineer, having the needed experience to optimize the working session.